After almost five years of operations and a successful World Cup in 2006, the Allianz Arena is still, in the eyes of many experts, one of the most modern stadiums in Europe and innovative stadium projects ever to be assembled. The arena gained this reputation because of their excellent technical infrastructure and is a leading testament of efficiency and reliability in stadium operation. From the initial construction phase, BTD worked in close cooperation with the operating company Allianz Arena München Stadion GmbH and FC Bayern Munich, to design and advise upon the entire technical infrastructure. During this construction period in 2005, BTD was appointed as the onsite project manager responsible for the implementation of IT features in the stadium and has since, been in charge of all technical operations. 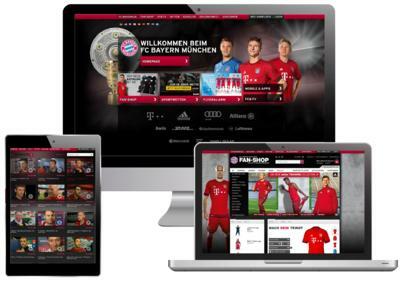 Today an agreement has been put in place by the operating company Allianz Arena and Bayern Munich, to extend BTD's status once again, as their technical service provider for the next five seasons. Stefan Leibhard, Managing Director of BTD stated: "We work in a lot of leading stadium projects for World Cups, Olympics and other major events. A project to which we are always addressed and which we are particularly proud of however, is the Allianz Arena in Munich. The Allianz Arena was our first stadium project where we were technically responsible for, from the beginning until the end, and now after five very successful years of operation, we look at the Allianz Arena as our "Home- Base." We are very delighted to receive full confidence of the operating company and FC Bayern Munich for the next five years again." 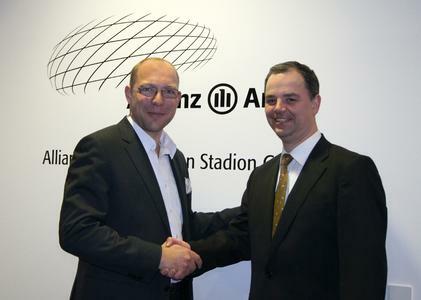 Juergen Muth, CEO of Allianz Arena München Stadion GmbH said: "Although we have always appreciated what we had with BTD's in regards to their staff and wealth of experience in international projects, we thoroughly scanned the market before confirming BTD once again as our primary supplier for the next operational phase. We are more than pleased today, to confirm our further cooperation. We believe they are the ideal service provider to deliver a consistently high level of performance over the next five years for us. "